I really don't want to do this one. The whole movie is a radical departure from the golden fairy tale or epic quest of derring-do. This feels more like a long Saturday Morning cartoon. Even the art style feels cheaper. I'll give Disney props for taking risks, but this one just doesn't click. Given all the production issues present, I'm not surprised. Motivation: Well, at least I can give credit for providing the main character motivation within the piece. Usually, the villain's instantiating incident happens before the movie. But the story is short enough as it is -- maybe it was just filler. 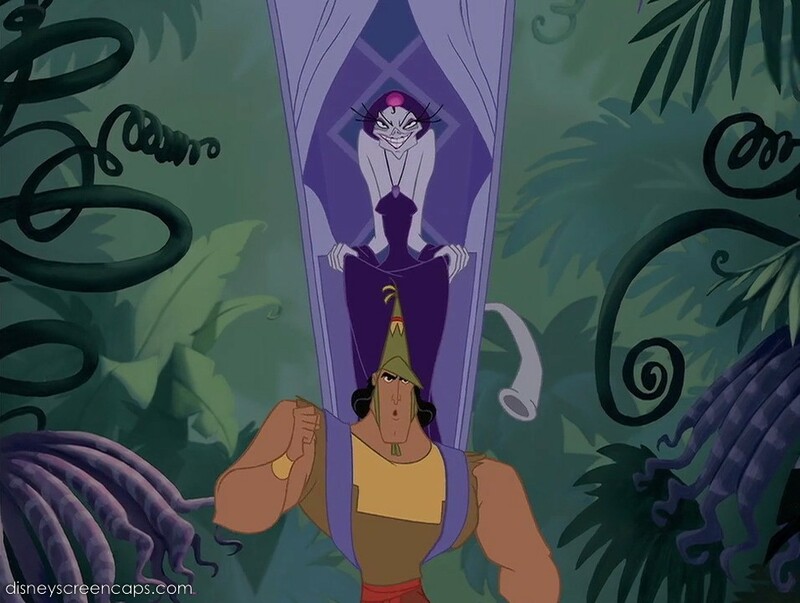 Kuzco fires Yzma as his royal advisor for attempting to usurp his throne. So Yzma immediately carries out her plan to usurp his throne. Character Strengths: So we've learned that boys make good hunters and girls make good witches. Yzma's magic comes in the form of nondescript bottles that cause transfiguration. Personality-wise, she's more witty than other queenly counterparts and her Eartha Kitt voice rounds out her affable craziness. Kinda like the Joker or Deadpool. Someone who's not sympathetic, but you still enjoy anyway. Evilness: The above-mentioned plan consists of assassinating Kuzco with some poison. We see the whole "feeding the poison, waiting for him to die" scene too, which seems a little dark for a Disney buddy comedy. But her flunky mixes up the bottles and Kuzco transforms into a llama. So immediately her claim to cruelty is flushed. All we've got here is ambition. Although making those sultry supermodel poses while being "scary beyond all reason" might be grounds for evil. 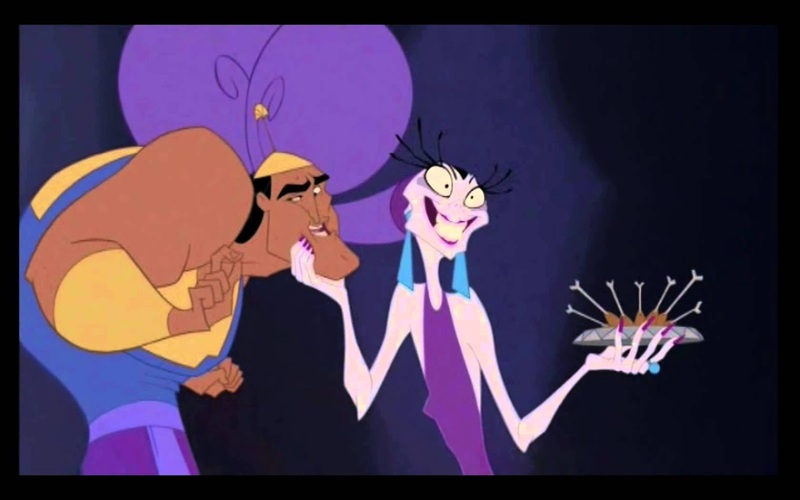 Tools: Let's face it: all the charm of Yzma comes from Kronk. Without him, there's no movie. He even got his own Direct-To-DVD so you know I'm right. The problem is he's largely incompetent. Slower than sloths swimming through a swamp. He pulls the wrong lever, he fails to procure the correct potion, he doesn't kill the Kuzco-llama when he's supposed to. 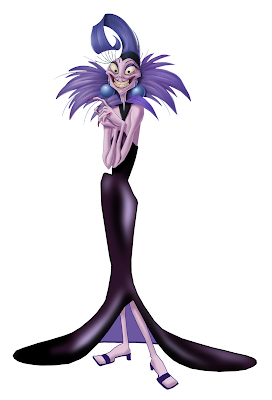 How long does it take for Yzma to realize how poorly she's hired? And her sorcery is more like alchemy. You never see her do any actual magic, which makes her closer to Jafar (actually, they do look a little alike). Complement to the Hero: Yzma says that "she practically raised" Kuzco, so we can give a few points for the villain creating the hero and then vice versa. But a throwaway line does not a duo make. And her big move -- turning the hero into a llama because she didn't properly label her bottles -- reeks of amateur hour. The whole plot sounds like a kid's stage play. Fatal Flaw: She should have taken a lesson from other evil queens and witches -- never delegate your work. 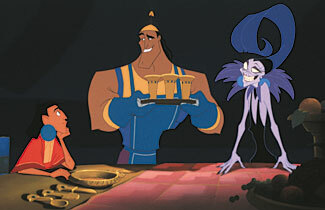 Because Kronk's conscience got the better of him, Kuzco can get away. And the chase scene leads to some comedy setpieces, but no serious threat from the queen witch. The hero easily shortcuts to Yzma's "secret lab" (big air-quotes around that one for bad storytelling shortcuts) where she uses her lack of proper labeling to her own advantage. Just bad luck in the end. Her desire for complicated plans doesn't count, because she always realizes easier solutions beforehand. There's nothing wrong with brainstorming. 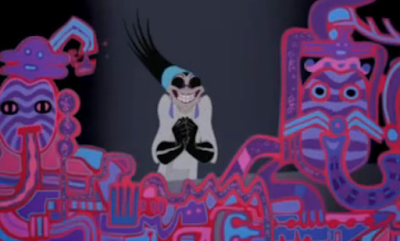 Method of Defeat/Death: Before Kuzco has a chance to take the anti-llama potion, Yzma topples her cabinet, mixing it among other transfigurationals. Comedy ensues as they keep trying drink after drink, each time with different results, as Yzma and Kronk chase them out the side of the palace. 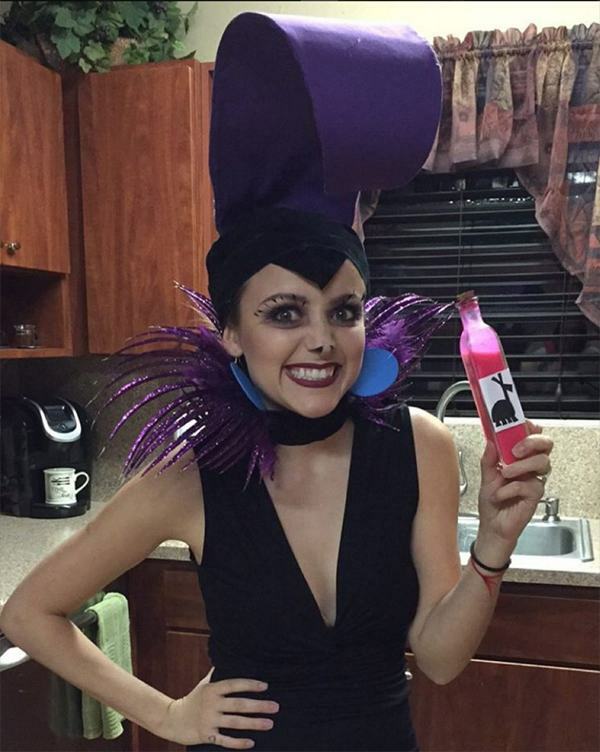 Yzma accidentally turns herself into a cat, but manages to capture the last vial. But she can't open it, and falls 50,000 feet to not-death. Her fate is that she eventually becomes one of the squirrel scouts (still a kitten).